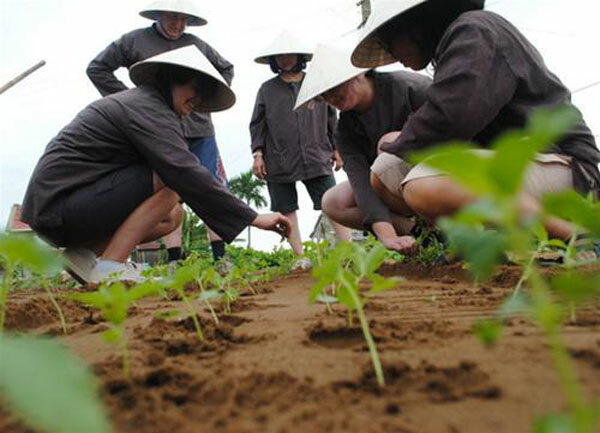 An ideal Hoi An tour opens chances for you to talk with local people and take part in farming activities, cooking class, casting fishing net, boat racing, enjoy traditional folk songs, making toys from water coconut leaves. 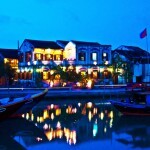 This Hoi An Group tour will offer you the best of Hoi An rural villages. Pick-up & see-off bus from your hotel inside Hoi An Old quarter. 1 bike/ 1 person – 12km easy cycle. English speaking tour guide throughout the tour. A surcharge of US$ 15 per person is added in case you need 1 French speaking guide. Farming activities with local farmers and farming costume provided. Cooking class in Tra Que village – Learn how to make Hoi An special food. Learn how to cast fishing nets and catch crabs in Cam Thanh village. Learn how to row a “basket” boat in Cam Thanh village. Activities in Tra Que herb village: Yes, for a day you can join one of the local farmers and get a feel of what it is like to work the land – water the crops, fertilize the land with seaweed from the nearby lake, pick up a hoe and get your hands muddy. What better way to get an insight into the local way of life? 08:00 our tour guide will pick you up at your hotel and cycle to Tra Que village. 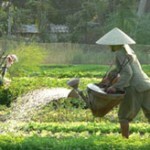 Take around the vegetable village and join in the daily activities with local farmer there. Continue to take bicycles along De Vong River to Hoi An Beach wharf. Enjoy 10km cycle among the rice fields. Embark on the boat to Cua Dai sand dune, enjoy casting net show and learn how to cast net by local fisher man. 11:00 Continue to Cam Thanh Water coconut village, have a brief introduce to the history there. 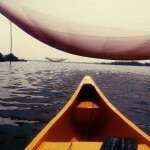 Take on the basket boat along the water coconut river, fisherman will teach you how to catch the crabs (02 pax/ boat). Divide group into 2 teams for basket boat racing and catching crabs. There will be a lovely present for winner. 12:20 You embark on another boat, enjoy the folk songs show by local people there. Enjoy lunch on boat with special local food such as pancake, Tam Huu spring roll, fried fish… After lunch, learn how to make funny tools by water coconut leaf. 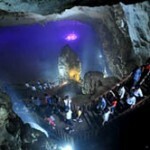 Local guide bids farewell to guests. End of services at your hotel in Hoi An old quarter at around 17:00. Experience a Hoi An eco-tour that takes to you see the sunrise at Cam Thanh coconut village. Travel by boat, learn how to catch fish and crabs from the local fishermen, and relax in the peaceful environment. Enjoy a lunch on boat. Cam Thanh village, among Cham island World’s Biosphere Reserve, is famous for water coconut and the products from coconut. 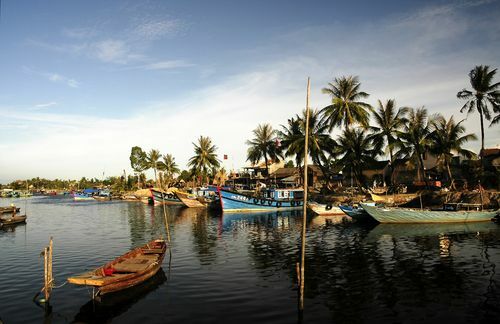 The village is the T-juction among the 3 rivers Thu Bon, Truong Giang and De Vong, surrounded by an 84ha salt-marsh of coconut forest hence this is a properous swamp for seafood. Tra Que herb village, ranked as No.1 of Hoi An attractions on TripAdvisor for 4 years (2008-2012), is a little charming village lying 4km from Hoi An, providing the whole Old quarter with vegetable. These vegetables not only make the Pho Hoi‘s meals more sweet with different flavour but also make Hoi An‘ specialities such as Cao Lau, Quang Noodle more memorable. If you come here, you can also enjoy the cooking class conducted by the host with local “Tam Huu” spring-roll which is primarily made from Tra Que vegetables or pancake with meat “Banh xeo” which is made with the enlivenment. VietnamCheapPackages is afraid NOT to provide picking-up & seeing-off from hotels and resorts located in Cua Dai beach or Cam Nam village. Don’t hesitate the 12km cycle because you’re cycling on rural road with idyllic landscape surroundings.